Originally circulating from 1990. You could hear it being played on all the decent pirate stations and underground venues at the time. Big tune. Awesome, awesome tune, definitely one of SR's best. A good way of bridging the gap between deep/vocal house and harder tunes, in the days when I was still able to get away with several styles in one set. 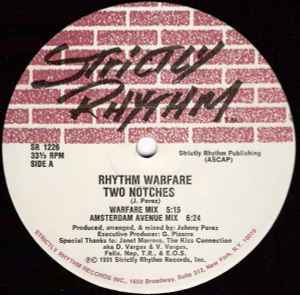 Many of this label's tunes were frequently on my decks in the early '90s, when playing in "deep house" mode. I used to cut this up with Youngbloods "Got Me Burnin' Up" (Strictly Rhythm SR 12 035) a lot back then, for maximum effect. Played this at a recent party for the first time in maybe 10 years, and it still attracts a few smiles.